All prices in USD. Click here for ring size conversions. Hestia Jewels embodies artisanal craftsmanship and everyday timeless essentials. The name of the brand, Hestia, comes from the ancient Greek goddess of the hearth, architecture, home and family. We are committed to producing beautifully crafted, affordable fine jewellery for women and men to cherish and pass down for generations to come. Our team works with the best suppliers to ensure that our unique fine jewellery is accessible without compromising on quality. Staying true to the integrity of our product, Hestia Jewels only uses graded conflict-free diamonds and precious stones, and thrive on representing the ethically responsible fine jewelry industry. 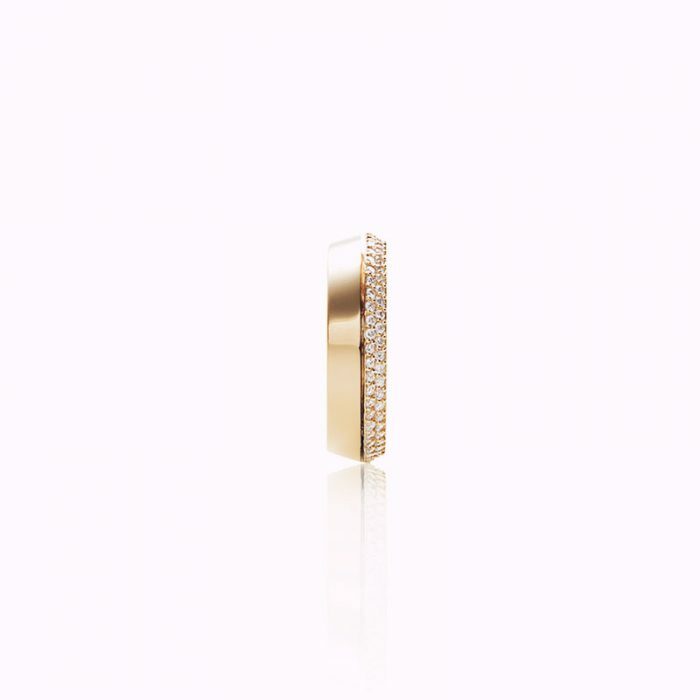 We use only 14K-18K Gold and VS clarity + G colour ethical diamonds. Our core value is to capture the happiness and joy that comes with owning a piece of jewellery. We believe that when you wear a Hestia piece, you are representing the feelings, celebrations, and milestones in your life. Whether for yourself or a surprise for a loved one — we love helping to capture your treasured moments with a special piece of luxury from our collection. All Hestia pieces are designed in Toronto, Canada. Dimensions: 6mm l x 23mm w Materials: 18k Rose Gold Gemstones: 0.49 cts diamonds, brilliant cut Made in Spain Click here for ring size conversions. Please allow 2 weeks before this item ships. 1 Emerald Cut Diamond, 0.10 CT 29 Diamonds 0.10 CT each (F/G-VVS1/VS1) Available in 18k Yellow, Rose or White gold Made in NYC Click here for ring size conversions. Size 6 ready to ship; please allow 2-3 weeks for all other sizes.